On this particular cold, winter day, I went to Giant Eagle to stock up on supplies before an impending storm. As I pulled into the parking lot, three people were loading their groceries into their car next to me. A large man also stood there, reaching over the hood of their car. He was wiping the snow and ice off the car’s windshield with his bare hands. She seemed disgusted just breathing the same air as the man cleaning her windshield. Instead of asking him to stop or giving him a few dollars, she quickly climbed into her car and gunned the car forward so fast the man was knocked back. A few seconds later, the man got up, walked to my car and knocked on my window. I hadn’t even processed what I had just witnessed. Now he was coming over to me and I had no idea what to say. “Please, not now, I just want to get what I need and get home,” I thought to myself. Where I live, it’s common for people to approach you for money. I took a deep breath and started to open the door. The man opened it the rest of the way, being careful not to hit the car next to me. This man stood well over 6 feet and wore sweatpants, a light flannel shirt and boots that were left untied. It was roughly 20 degrees outside and he was clearly not dressed for the cold. I scooped up the change I had in the car and gave him everything I had, which was only $2.37. After handing him the money, I explained that I didn’t have any more. “I’m cold and hungry. Can you take me to the shelter?” he asked. I noticed his hands. They were at his side but his fingers moved silently up and down, as though he was playing an invisible piano. He spoke with great difficulty — in a stilted, mechanical fashion and his face showed no emotion. I never felt threatened, although he stood in my personal space about 1 or 2 feet in front of me. He would occasionally look in my direction, but never at me. Although he stood so close, he avoided eye contact. I really didn’t know what to say, because I wasn’t comfortable driving him anywhere. Then he asked me to buy him some food and gloves. I thought about what to say. I knew he would have a hard time understanding: I don’t have any money. My family is struggling to survive each day. I was trying to figure out how to explain to him that I couldn’t help, but I was at a loss for words. Then something happened that shook me to the core and completely broke my heart. As I was trying to tell him no, he looked me in the eyes. All of a sudden, I was looking at my oldest son. My wife and I have three boys with autism; the oldest is 13. Looking at the bare-handed man was like looking through some special window at my oldest son, 20 or 30 years from now. It was like being run over by a freight train. I was washed by a wave of clarity and my eyes and heart were now open to what was happening in front of me. Suddenly I was transformed from a person trying to avoid the whole situation into a parent, filled with compassion and understanding. He again asked me to buy him food because he was hungry and gloves because his hands were cold. Something about him was so familiar. Yes, I would buy him some food. I would never deny any of my children food if they were hungry. He smiled in my direction and took my hand without looking at me and led me into the store. His hands were cold, hardened and chapped. I noticed the looks people gave me as I walked with the bare-handed man into the grocery store. His clothes were old, beaten up and had a foul odor. He told me again that he wasn’t lying. I told him I knew he wasn’t. He turned to walk away, stopped and looked in my direction as if to say “Thank you,” but didn’t. What he did said more than a simple thank you. He showed me his eyes again for a brief moment before he turned around and left. I was beside myself with grief. How could someone I didn’t know have such a profound effect on me? It took everything I had not to burst into tears. I just couldn’t shake just how much the bare-handed man reminded me of my oldest son. Their eyes, mannerisms and even the way they speak were so similar. My son struggles with boundaries and personal space simply because he doesn’t understand, not because he wants to be invasive. All I could think was, “How does this happen?” I was smacked in the face with reality. Someday I won’t be here to take care of my children. What if this happens to them? What if they are the ones wiping off a windshield with their bare hands and almost being run over by someone who doesn’t care? I can’t let that happen. I won’t let that happen. Since that cold February day in 2011, I have met the bare-handed man on a few more occasions. Along the way, I learned that his name is Tim and that he remembers me. Tim has reminded me of my single greatest fear, that something like this could happen to one of my children. I would like to think that my experience that day — the way people treated Tim in that frozen parking lot — was an isolated incident. Sadly, I know it’s not. Things like this happen all the time. To this writer and father of three beautiful boys on the autism spectrum, this is simply unacceptable. 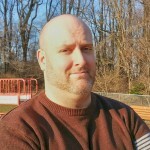 Gorski began his writing career in June of 2010 with his multiple award winning blog Lost and Tired: Confessions of an Autism Dad. We need to do what we can to help the world better understand both children and adults with autism. I’m terrified of what the future might hold for my children. I have witnessed how cruel and unforgiving the world can be to people who are perceived as different. It is an ugly reality but one I’m working to help change. Please help spread autism awareness, even if it’s one person at a time. Remember that the autistic children of today will be the autistic adults of tomorrow. These people need and deserve our compassion, understanding and respect. Let’s help to ensure that what happened to my friend Tim in the parking lot of the Giant Eagle doesn’t have to happen to anyone else, ever again. 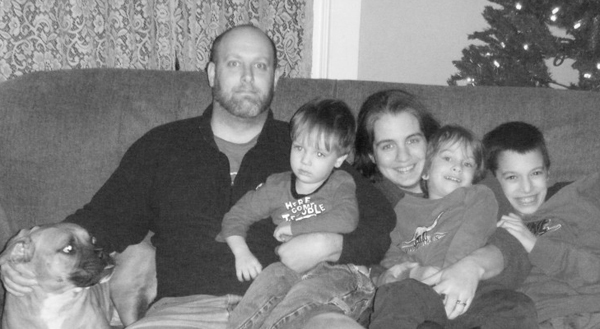 Rob Gorski is a husband and father of 3 boys on the Autism Spectrum. 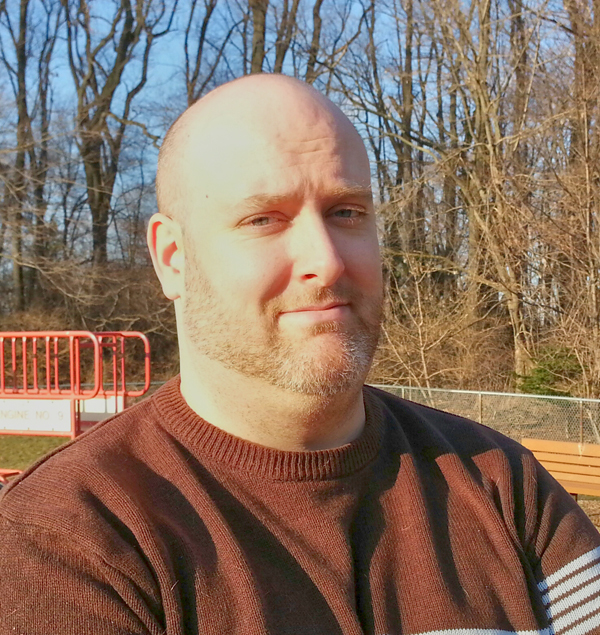 Gorski began his writing career in June of 2010 with his multiple award winning blog The Autism Dad. His mission is to create dialogue and spread Autism Awareness in ways that society can relate to and understand. Gorski advocates for special needs families and those on the Autism Spectrum, both young and old.